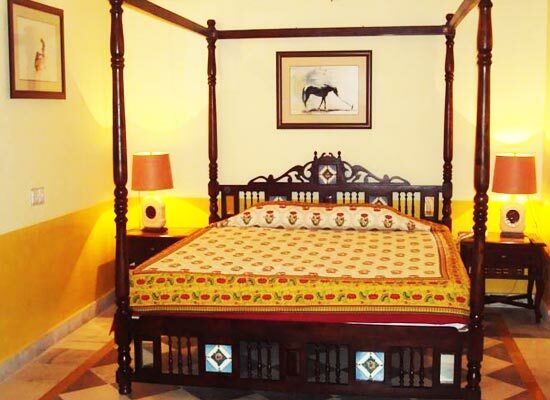 "The Bissau Palace Hotel is a famous heritage hotel in Jaipur. Built in the 19th century, it was the palace of Raghubir Singhji, a royal nobleman. The hotel still maintains its charm. Enjoy the sprawling gardens, the private swimming pool, game courts and other facilities. 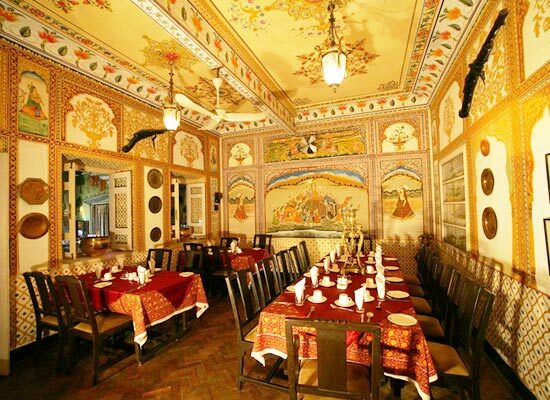 The restaurants offer incredible hospitality with Rajasthan folk shows for entertainment. 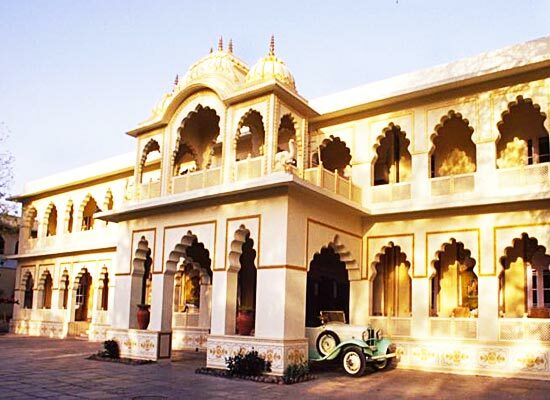 The Bissau Palace, Jaipur was built in the early 1920s by Rawal Raghubir Singhji. Built during this time the palace was later turned into one of the heritage hotels of Jaipur. 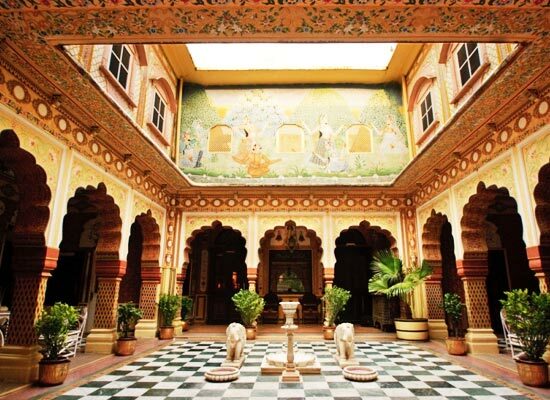 Located away from the dust and grime of Jaipur city, the Bissau Palace not only recalls the splendor of the bygone eras but even gives the guests a serene royal retreat. Rajasthan glorious past is preserved in the walls of the Bissau Palace. From the elegant and luxurious interiors to the spacious courtyard and dining halls the palace recalls the glory and grandeur of the Rajput era. 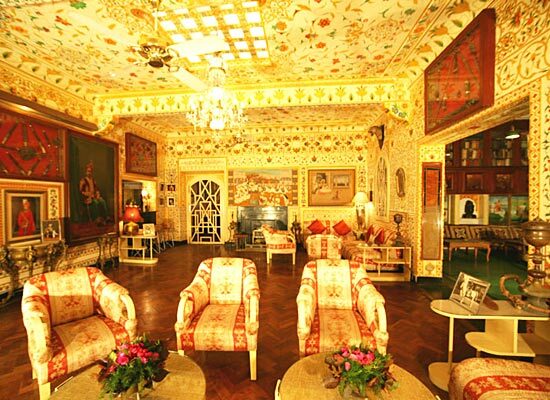 Enjoy your royal retreat in the rooms decorated with antique furniture which are lighted by the glittering chandeliers of yesteryears. 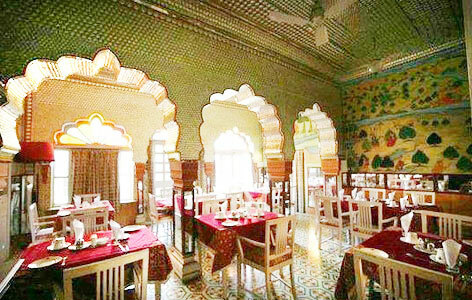 The elegant dining hall called Bhuwaneshwari is the spacious hall where the guests can enjoy their royal delicacies and exotic cuisines. The bar at the hotel is surely for all you connoisseurs who love wines and cocktails. The city of Havelis and forts and medieval aura, Jaipur is one of the important tourist places in Rajasthan. From exquisite Rajasthani handicrafts to the elegant forts and palatial mansions, Jaipur is every tourists dream destination. Explore the fascinating Nahargarh Fort, Hawa Mahal and City Palace on your tour to Jaipur.